The Whataburger chain has an intense fan loyalty and for good reason, if you’ve ever tried one. 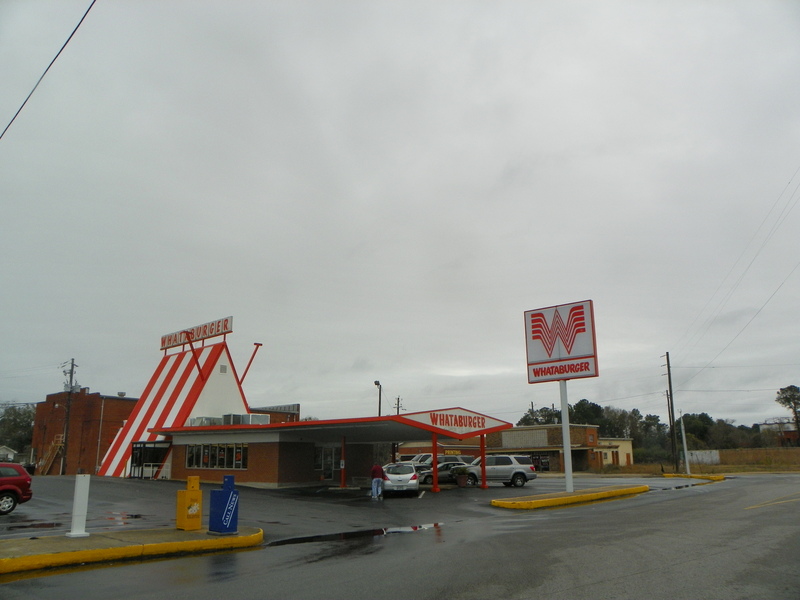 Even cooler is running into the occasional classic Whataburger location, like this one in Chickasaw, Alabama near Mobile, which would seem to date from the 1950’s. Drove down to Mobile for the C & M Record Pool’s Mobile Music Conference. DJ Bull got me checked into my hotel room, and then I drove over to the new Eastern Shore Center in Malbis to meet up with the Pensacola rapper Big Bone at California Dreaming restaurant. I went by two different Starbucks on the eastern shore and found both closed, but I finally found a coffee bar called Serda’s that stayed open until 11 PM. 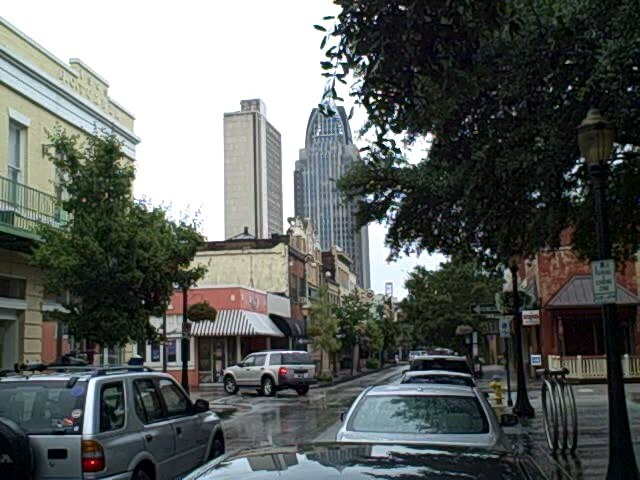 It had been raining in Mobile, and the streets still seemed wet as I rode back out west toward the hotel, listening to WBLX as they played some rap song about being from Prichard.